Qoo10 is one of our favourite places to get great discounts on anything from fashion to furniture, but the site can get…well, pretty complicated to navigate. 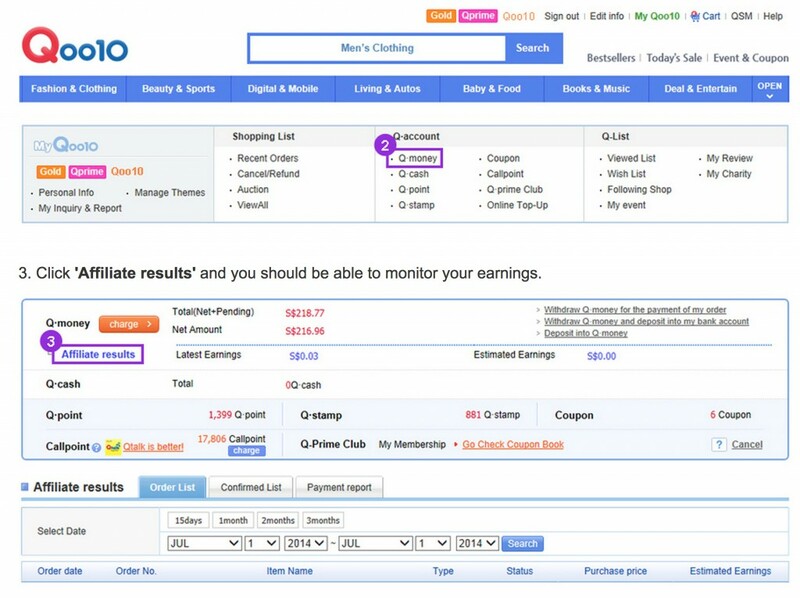 Here’s a simple guide to shopping on Qoo10 (and getting the best deals). After you’ve signed up for an account, hop on over to the Event & Coupon page to get your daily Q.ticket – a stamp for your “Attendance Card” (yes, just like in school). You only get stamps on the days you login and click that day’s box though. Each Q.ticket entitles you to a spin at Roulette Q for that day. What exactly is Roulette Q and why should you care? Read the next point. 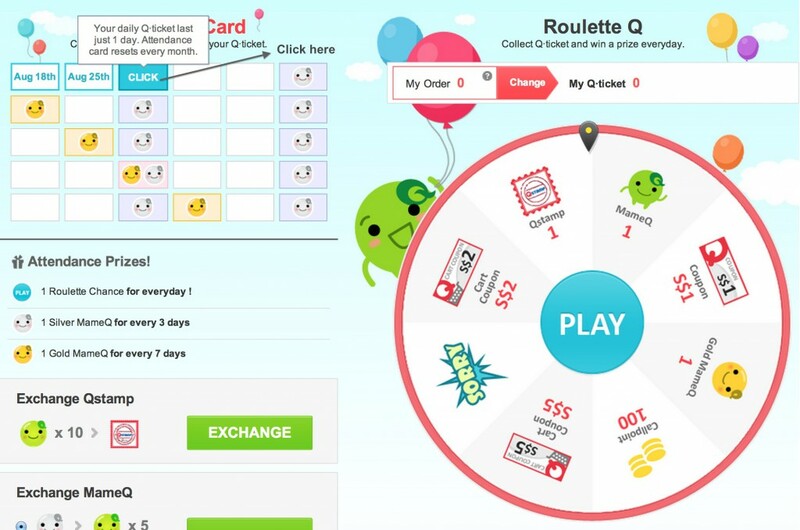 Just like a carnival game, you can use your Q.ticket to spin the Roulette Q wheel and win prizes – coupons, Qstamps (we’ll explain below) and MameQs (also explained below). In short, if you spin the wheel, you’ll probably be able to get a better deal on your shopping. You can only spin the wheel once a day though. Qstamps (not to be confused with Q.tickets above) can be exchanged for discount and shipping coupons. You can also use your Qstamps to participate in lucky draw events, where you can exchange your Qstamps for items in that event (yes, AKA free shopping). Besides Roulette Q, you can also get Qstamps when you write feedback after you’ve received your item (extra points if you upload a photo of the item as well). Qoo10 sure makes you work for your discounts eh? 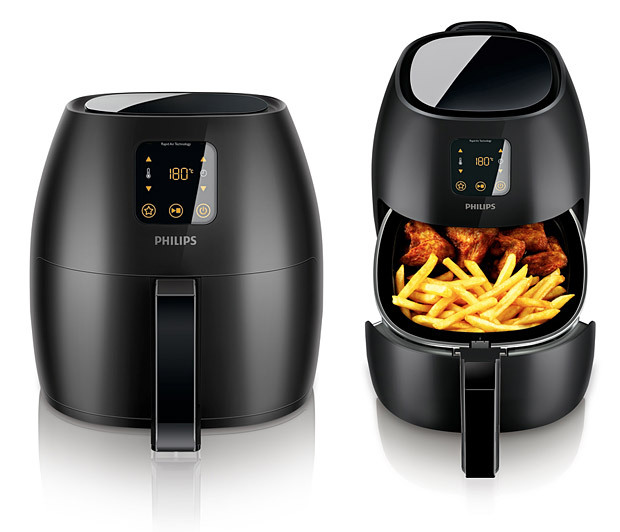 MameQs (no idea what it stands for, but they’re the little face icons below) allow you to bid for selected items at heavily discounted prices (think a brand new Phillips Airfryer for less than 10% of the retail price) in their Lucky Price sale. 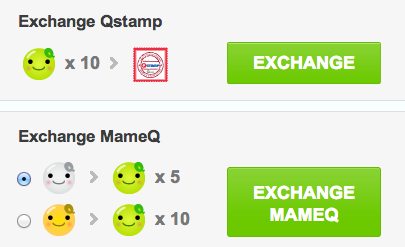 You can also exchange MameQs for discount coupons. There are different levels of MameQs (Green, Silver and Gold), which basically allow you to access different types of bidding events. You can get MameQs from spinning the Roulette Q wheel or checking in your daily attendance. Confused yet? There’s more…but it’s worth it, we promise. Qpoints can be used for MORE discounts on your item (up to 30% of the price of the item), and they’re fairly easy to obtain. All you have to do is confirm delivery of your item once it has arrived, and you’ll receive a maximum of 10 Qpoints based on 1% of your purchase price. So if your item was S$5, you will receive 5 Qpoints. 100 Qpoints = $1 off your order. OK, last Q we promise! Q.money is basically cash you can earn for being a Q-Affliate – someone who markets and shares posts for Qoo10. Once you’ve registered successfully, you can start sharing Qoo10 links on your Facebook page or blog. Anyone who clicks on your link and makes a purchase will entitle you to a 2% commission. The Q.money will be deposited into your Qoo10 account, which you can transfer to your own bank account. You can also use Qmoney for purchases made on Qoo10. Seriously, what better way is there to shop and earn money at the same time?! Coupons give you direct discounts on items you want to buy, but they usually come with (sometimes annoying) conditions: a minimum purchase price (i.e $3 coupon can only be used on purchases above S$50) and most of them last for 2 weeks or less. There are also two types of discount coupons: Coupons and Cart Coupons. Coupons are for individual items, while Cart Coupons can be used on several items in your cart. 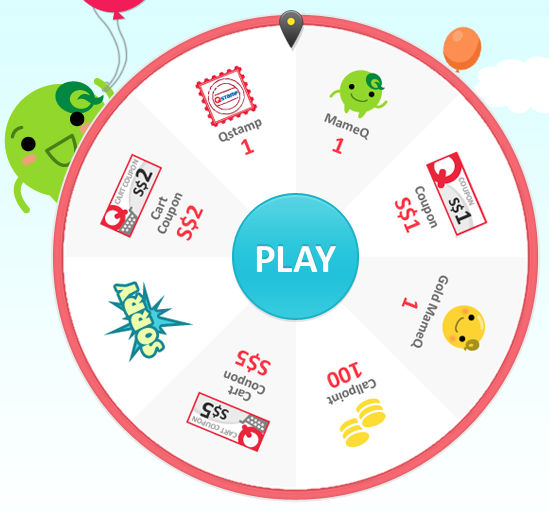 You can win coupons via Roulette Q, or exchange Qstamps for coupons. As the name suggests, Group Buys are when you get to buy an item at a special discount because a bunch of other people are buying that same item. 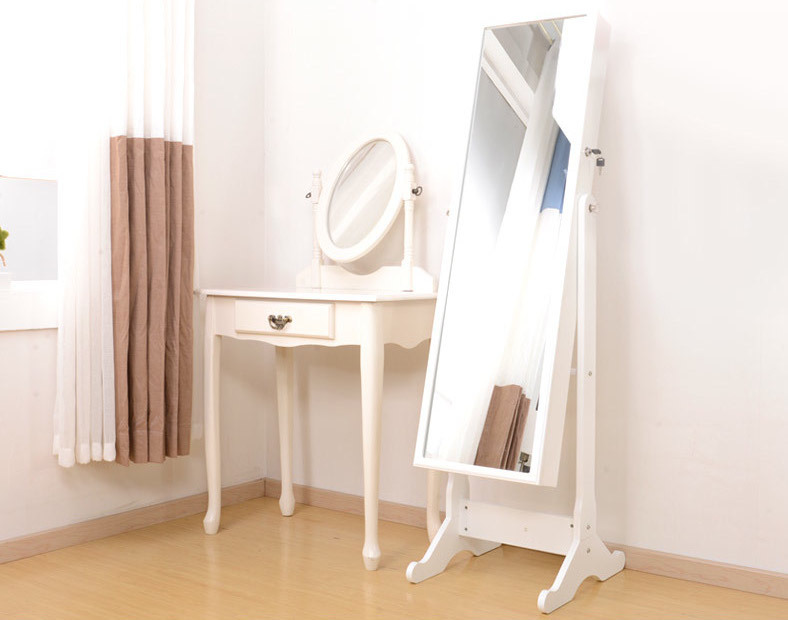 Items range from bags and clothes to electronics and furniture. Items change regularly though, so check the Group Buy page for an updated list of deals. This is like the Great Singapore Sale, all day errrrrday. Check out this page for daily deals on selected brands – there can be everything from appliances to designer bags. 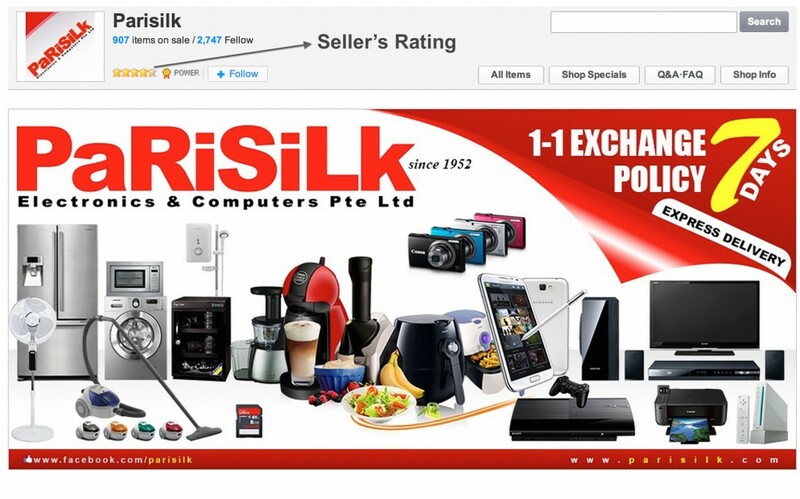 Every seller on Qoo10 has a star rating, so you can roughly gauge their reputation. Most items also have feedback/comments from customers who’ve purchased the item, so you can see if the seller is reliable or not. You can also leave questions for the seller. If the seller takes a long time to reply, they’re probably dodgy (or foreign – AKA they don’t speak much English so they didn’t really understand your question). 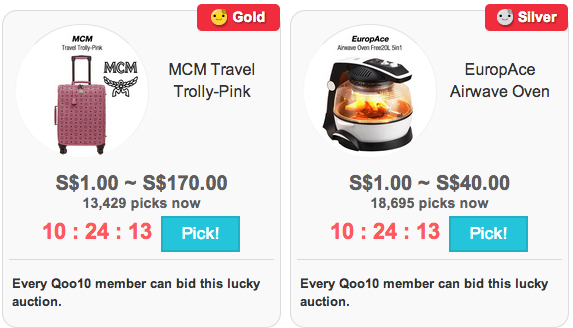 Most items on Qoo10 usually ship from Singapore, so you can expect your items within a week. If you’re especially impatient (or you want to save on shipping), contact the seller to ask about self-collection. Be warned though…you might have to pick your item up at some random HDB car park, but you should be OK if you go with a (big, burly) friend/relative. Sellers usually use Qexpress (registered parcel delivery) or TAQBIN (courier delivery). If you haven’t received your order after the specified time stated by the seller, you can contact the seller directly to ask (and interrogate) them about your item. If they don’t respond, you can always contact Qoo10 directly to kick up a fuss (just kidding). In any case, the seller won’t get your money until you have received and confirmed delivery of your order. She's a foodie, loves building sandcastles in the air, and simply adores scriptwriting. She reckons that writing has always been her interest even before she could hold a pencil. Your feedback is precious to her so drop a comment and tell her what you think!